The history of Auckland’s Mullet Boats is the history of developmental competitive yacht racing in New Zealand. In a sense, without the Mullet Boat, the entire New Zealand yachting industry as we know it today, would be a very different, and possibly much less significant, sector of the New Zealand economy. Auckland was founded in 1840 and from that date it grew very quickly. It was chosen as the site for New Zealand’s first city because of its enviable harbour, whose waters were teaming with fish. As the city grew so did the requirement for food. Fishing was initially the business of the local Maori, but very soon immigrant fishermen from Great Britain and Australia started plying their trade. The waters and weather of the Waitemata were very different to where they had come from, and so the indigenous design of the ideal sailing craft for fishing the local waters slowly evolved. Remember, no engines or refrigeration in those days. 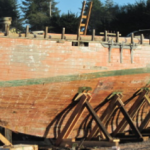 Due to a large tidal flow, it needed to be of a shallow draft with a lifting centreplate keel. This assisted the boat to get up into tidal areas such as the upper Waitemata, the Mahurangi, and down into the Thames Estuary, not to mention to be able to cope with the monstrous tides of the “other” harbour, the Manukau. It meant the boat could be left to lie on the mudflats when the tide went out, and when sailing with a breeze coming from the aft quarter, the “plate” could be lifted up into the hull to reduce drag. The sail area had to be large; it is a very unusual day when there is no wind in Auckland, but some days have much less wind than others. A sailor can reef down sail area to cope with high winds, but with light airs you need a big sail area to generate horsepower, especially in those days before refrigeration when fishermen had a large catch on board to get back to the bottom of Queen Street by 4pm in order to sell their freshly caught product. A set of scales slung under the boom, the deals were done directly from the boat and bowler hatted workers would head off home with the evening’s meal wrapped in the days newspaper under their arms. In its early years yachting for leisure was the preserve of the wealthy of Auckland, but as the 19th century drew to a close, Auckland started to develop a middle class with time and money on their hands, and an interest in doing something other than work on the weekends. No television or shopping malls in those days, so sport became an abiding interest for most. Developing rugby and cricket fields, horse racing tracks or tennis courts were expensive endeavours, but the sparkling waters and vast expanse of Auckland’s two harbours were free and available. The construction of Mullet Boats was, compared to the larger leisure yachts, a relatively cost effective option, and their huge sail area required several able bodied men on board to manage them in a race so they were a very social class to sail on. By the end of the 1st World War, yachting in Auckland had become a very organised affair. 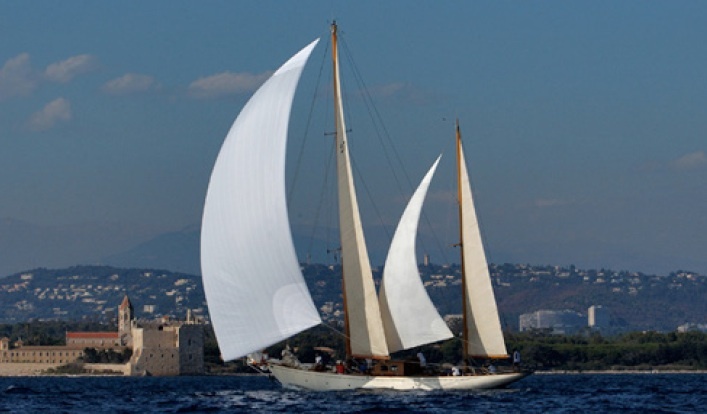 Initially the various “classes” of yachts were simply based on the waterline length of the boats, something which meant that a complex handicap system had to be developed because each yacht in any given “class” differed hugely in performance from others. In order to really test and properly compare the abilities of one yacht crew to another, a class was needed in which every boat had to be built to the same rules. The Mullet Boat became that boat. Initially there were several classes of Mullet Boats; varying from 18 foot to 26 foot, but the 22 foot “L” class was, for whatever reason, chosen to be THE racing class. An ingenious list of design “restrictions” were drawn up to allow a certain amount of leeway and individuality in the design of each boat, but not so much as to give any particular craft a definite speed advantage over the others. 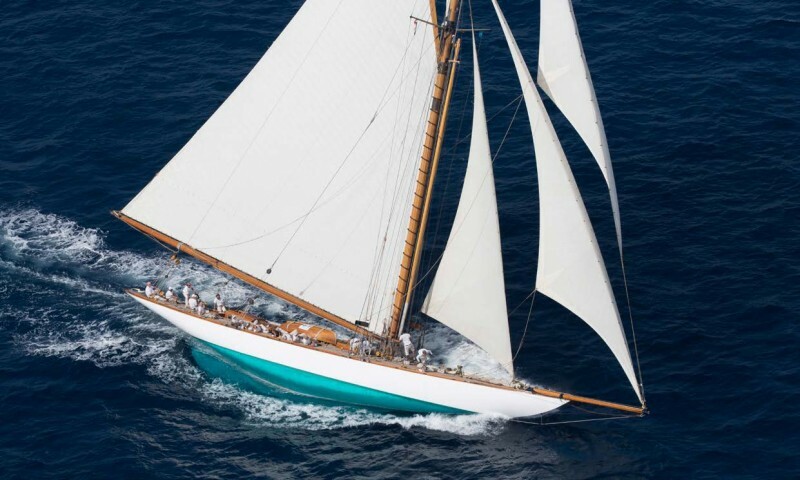 For probably something like 30 years, from the early 1920s until well after the end of the 2nd World War, the “L” class Mullet Boat was THE cutting edge development racing class of yachting on Auckland’s harbours. This is hugely important when viewed from today’s perspective. 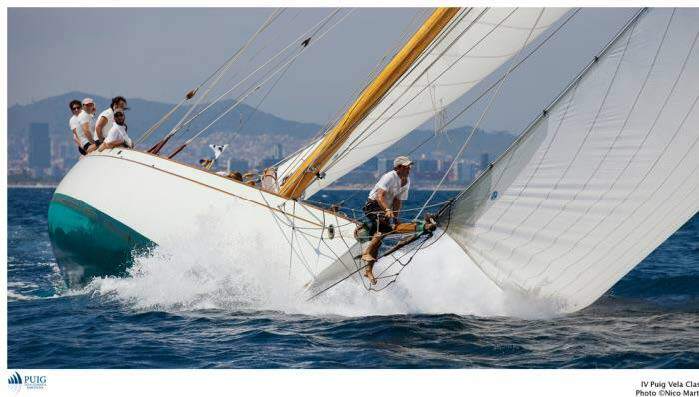 First you have to understand that without the technology of computer simulation, to develop and test the improvements in speed of a racing yacht, one has to be able test that craft against other craft of identical design. Also to develop yacht racing skills, the crews needed to have a level playing field to test their technique against other race crews. The Mullet Boat class provided that test bed in New Zealand, and was the launching pad and the training ground for the beginnings of professional yacht racing in New Zealand. 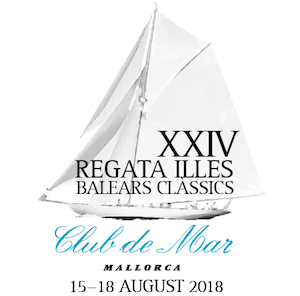 The list of those who cut their teeth in yacht designing, building and racing on Mullet Boats is a very long one: Logan, Bailey, Stewart, Young, Lidgard, Birdsall, Dickson, the list goes on and on for ever. When we talk about New Zealand’s leading position in the world of yachting today, we must never forget that without the “humble” Mullet Boat, there may well never have been a Peter Blake or a Bruce Farr. In terms of sailing, the Mullet Boat provides a level of excitement that is missing in many modern designs. If the modern, carbon fibre racing yacht is the Subaru Impreza of the sailing world; the Mullet Boat is the big block V8 Shelby Cobra. 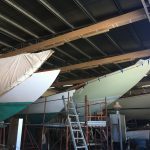 Massive sails, one imperial ton of lead ballast, a 22 foot hull with a total length from bowsprit to boom of 35 foot, this is not a boat for the faint hearted. “Mulleties” are proud of the heritage they are endeavouring to preserve. 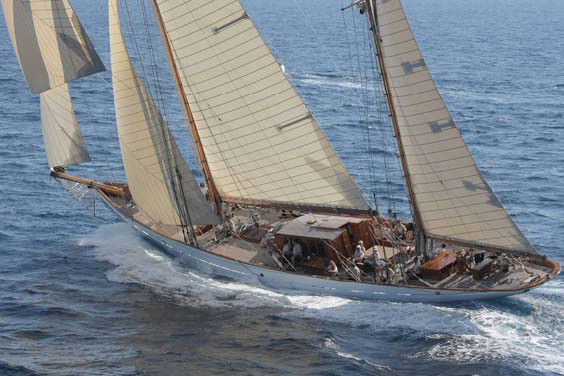 It is not just a heritage that resides in the vessels they sail, but a heritage of the spirit of New Zealand yachting.